Northern Rail services are being disrupted after a landslip. Passengers in West Yorkshire are being warned of disruption to train services after a landslip between Sowerby Bridge and Halifax. 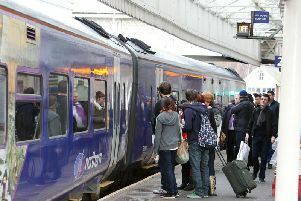 National Rail said the incident was causing disruption to Northern Rail services between Hebden Bridge and Halifax, and some trains may run non-stop between Sowerby Bridge and Leeds. It said no stations between Halifax and Bramley would be served. The disruption is affecting services travelling from Blackpool North and Manchester Victoria towards Leeds and York only. Services travelling in the other direction are currently unaffected. The disruption had been expected to continue until around 1pm, but National Rail has since send it will continue until the end of service today.